The call is now OPEN. for more information please download and read all related call documents under the Funding “Documents” section. It is strongly recommended to contact your National Contact Person (list of contacts is provided under Funding “National Contact Points” section or in Guidelines for applicants documents). Please note that some national/regional funders operate an additional eligibility check that must be performed BEFORE the submission of the proposal – you will find all details in the Guidelines and (if relevant) dedicated pre-submission forms in the Documents section. The E-Rare ERA-Net has successfully implemented ten Joint Transnational Calls for rare disease research projects since 2006. This effort is now continued in the frame of the European Joint Programme on Rare Diseases (EJP RD) that has been established to further help in coordinating the research efforts of European, Associated and non-European countries in the field of rare diseases and implement the objectives of the International Rare Disease Research Consortium (IRDiRC). 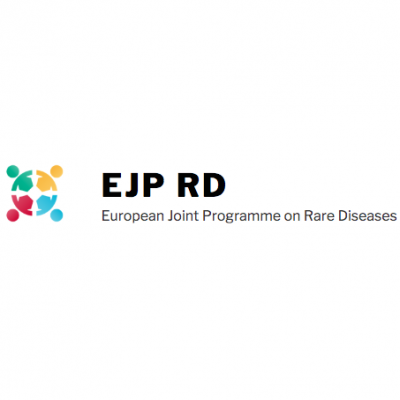 intend to open the first EJP RD Joint Transnational Call (JTC 2019) for funding multilateral research projects on rare diseases together with the European Commission (EC) under the EJP-COFUND mechanism. The call is expected to be opened simultaneously by the above-mentioned funding organisations in their respective countries/regions. * Omic or multi-omic integrated approaches for discovery of disease causes and mechanisms including development of relevant bioinformatic tools. * Identification of novel pathophysiological pathways in appropriate disease models that effectively mimic the human condition. * To ensure that the needs and priorities of rare disease patients are adequately addressed, they or their representatives should be appropriately involved in all projects wherever relevant. For examples, inclusion and involvement of patient representatives includes but is not restricted to natural history studies / registries where patients should be involved in the governance of the registry. Please consult the INVOLVE website for information on various ways to involve patients: http://www.invo.org.uk/resource-centre/resource-for-researchers/. For additional guidance and practical advice on patient involvement in research studies, please consult also the JPND guidelines: http://www.neurodegenerationresearch.eu/wp-content/uploads/2013/11/JPND-guide-for-Patient-and-Public-Involvement.pdf. * Rare neurodegenerative diseases which are within the main focus of the Joint Programming Initiative on Neurodegenerative Disease Research (JPND; http://www.neurodegenerationresearch.eu/). These concern: Alzheimer’s disease and other dementias; Parkinson’s disease (PD) and PD-related disorders; Prion disease; Motor Neuron Diseases; Huntington’s disease; Spinal Muscular Atrophy and dominant forms of Spinocerebellar Ataxia. Interested researchers should refer to the relevant JPND calls. Not excluded through this specification are childhood dementias/neurodegenerative diseases. Projects shall involve a group of rare diseases or a single rare disease following the European definition i.e. a disease affecting not more than five in 10.000 persons in the European Community, EC associated states and Canada. Applicants are encouraged to assemble groups of rare diseases based on solid criteria and commonalities if this leverages added value in sharing resources or expertise and has the capacity to elucidate common disease mechanisms and therapeutic targets. The research projects submitted within this call must be based on novel ideas stemming from consolidated previous results or preliminary data and must be clearly endowed with benefit for the patients, i.e. studies allowing a rapid implementation into public health-related decisions or into the clinics. To achieve this goal, the necessary expertise and resources should be brought together from academia, clinical/public health sector and private companies whenever relevant. The research teams within a consortium should include investigators from complementary scientific disciplines, research areas and expertise necessary to achieve the proposed objectives. 2. Sharing of resources (biobanks, models, databases, diagnostic tools, etc. ), of specific know-how and/or innovative technologies including “-omics”, and of expertise. The projects should clearly demonstrate the potential health impact. * patient advocacy organisations (PAOs – see more information below and refer to the INSERM contact point) . Please note that the inclusion of a non-eligible research partner (principle investigator) in a proposalleads to the rejection of the entire proposal without further review. Whilst applications will be submitted jointly by applicants from several countries/regions, individual groups will be funded by the individual funding organisation of their country/region that is participating in the EJPRD JTC 2019. The applications are therefore subjected to eligibility criteria of individual funding organisations. Applicants are strongly advised to contact their corresponding national/regional representative and confirm eligibility with their respective funding organisations in advance of submitting an application (see national/regional contact details). Only transnational projects will be funded. Each consortium submitting a proposal must involve a minimum of four eligible and a maximum of six eligible research partners from at least four different countries participating to the call (see list above). No more than two eligible research partners from the same country participating in the call will be accepted in one consortium. The Joint Call Secretariat and national/regional funding organisations will perform cross-checks in parallel submissions to other joint transnational calls (e.g. NEURON, JPND, EuroNanoMed, ERA PerMed and others) and national calls. Applicants shall avoid applying for same research activities to different calls. Double funding is not allowed. The consortium coordinator must always be eligible to receive funding from the funding organisations participating in the call and cannot be a partner that joins only with their own funding. Only groups that contribute substantially to at least one of the work packages are considered as partners and should be indicated in the project. Applicants are encouraged to include research partners from participating countries usually underrepresented in projects (Czech Republic, Slovakia, Estonia, Hungary, Lithuania, Poland, and Turkey). If they include such research partners, the maximum number of research partners can be increased to eight (see tables below). Consortia are also encouraged to include Early Career Scientists as principal investigators in their proposal. Early career PIs must prove that they are scientifically excellent and independent, for example that they lead or have led a research group or project. They also must clearly be eligible according to national/regional funding regulations. Early Career Scientists should be clearly identified in the proposal and their CV. Additional research partners that secure their own funding may join consortia. However, their number is limited to two and depends on the number of research partners requesting funding (see table below). These additional research partners can only come from countries that are not involved in the EJPRD JTC 2019 funding or are not eligible for the respective funding organization due to national/regional rules. These research partners must state clearly in the proposal if these funds are already secured or if not, how they plan to obtain funding in advance of the project start, as well as what the concrete amount of contributed funding will be. It will be required to document the availability of their funds before October 1, 2019. In the (pre)proposal form these research partners are mentioned in the category «Associated research partners not asking for funding». To collect the necessary patient data and/or samples for the proposed study, a consortium may need to collaborate with other centres. If the unique role of those centres is providing patients data and/or samples for the study only, they will not be considered as research partners of the consortium but can be included otherwise, e.g. via cooperation agreements or subcontracting. In addition, the inclusion of patient advocacy organizations (PAO) in the proposal is highly encouraged. These can be involved in all levels of the proposed work including helping to develop the research question or patient centred tools, advising on prioritisation, being involved in advisory groups, being a member of the consortium steering group or the governance group of a registry, carrying out the research and disseminating the research findings. Therefore PAOs are also eligible to receive funding for their activities. If PAO involvement is not deemed appropriate within a specific research study, this should be explained and justified. The included PAO(s) will not be counted as a national/regional principal investigator research partner and therefore their inclusion does not influence the maximum number of research partners as described above. The call is scheduled to open on December 15, 2018. The deadline for submitting the pre-proposals is February 15, 2019. An independent international Scientific Evaluation Committee will carry out a scientific evaluation according to specific evaluation criteria. Based on this central evaluation, selected consortia will be invited to submit a full proposal by early May 2019 (indicative deadline for full proposals: June 11, 2019).